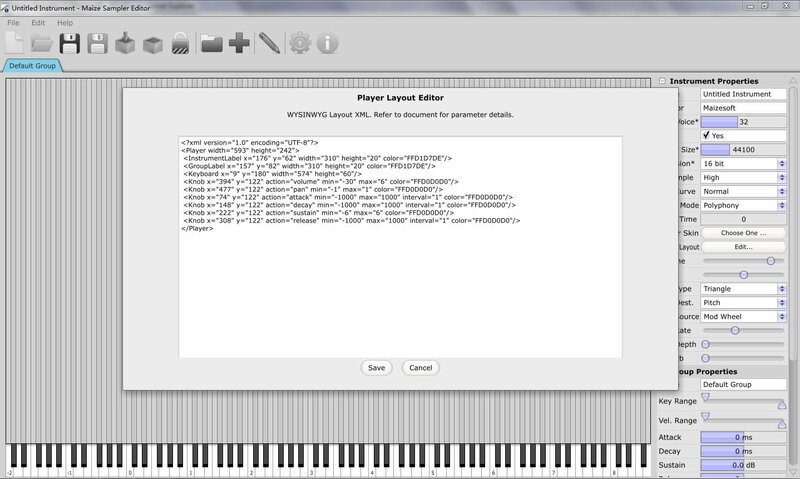 Maize Sampler by Maizesoft is a Virtual Instrument Audio Plugin. It functions as a VST Plugin, an Audio Units Plugin and a VST 3 Plugin. Standalone Windows and Mac OS X application. LFO, ADSR envelope and reverb effect. Generate VST and Audio Unit plug-ins. User defined UI background skin. XML defined knob, label combobox and keyboard. Serial number copy protection for exported instruments. i've been using this Software for 2 years now. and it gets better with every update. i've been in contact with the creator of this fabulous software Xiang Cao since i bought it. i tested beta versions for him and gave him feedback to help develop this product . i also suggested new features that will be coming in a near future . Check my Website to see Plugins Created with Maize Sampler! Click Here to see Plugin Interface on my Website ! Click Here to Listen to Demos ! Please Give a Feedback and rate Maize Sampler software! This sampler works very well. The documentation could be improved, but overall a user can find their way through it and learn how to use it. I like that the sampler can layer different sounds, then be converted to a standalone VST instrument, The standalone VST instrument can have the panel graphics of your choosing. The knobs and controls are also this way. There is LFO support internal to it and this helps with creating various sound effects. I'am looking for that kind of product but It's impossible to contact the company. I have the free version of Maize Sampler. About the limitations, sound is only in one channel, is it normal? I made a .dll and it works (in one channel only) but when I try it with another pc, the host say:''Cannot find any instrument''. So I will not buy it without the possibility to contact the company. I tried this thing, but it failed to be recognized as an Audio Unit upon export. I tried to find support about this, but it's just non-existent. Could have had potential for some small sound sets, but with no support and such limitations, I'm probably out. I have noticed that the Decay and Sustain controls don't actually do anything? the attack and release work but even with Decay and sustain fully turned off the sound still comes through? The decay, release and sustain work with each other, you won't hear anything from the decay unless the release is at a certain position etc. I've created some nice sample based VSTs with MS2 but it really needs resonance and cutoff pots!. Thanks for the reply Placemat, . I know see what you mean, . Its still only a very light touch though, . Is there any way to change the amount it affects the sample? so it cuts the sound entirely? Also the glide amount does not save when exporting a patch? I have just created a VST 32-bit with v2.3. I can get to a maximum of 7 banks of the same VST instance loaded but when I click on the eighth bank and try to load the same VST again, it will not let me. I have no idea why it won't. Am I out of memory? There is no message to tell me this. Any thoughts? Version 2.32 is out with an updated Framework and it's less CPU Hungry. now DFD Works whithout Noise a Great Improvement Thanks to Xiang Cao. here are the new features . – Updated the application framework. 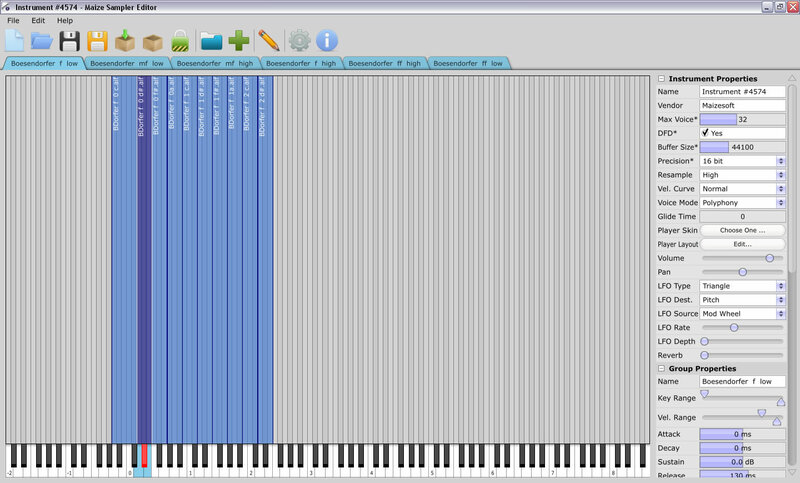 the ability to choose MIDI channel for each group from the GUI. separate reverb send for each group accessible from the GUI. if you think these are good ideas support the Project by buying it. These are great improvements. I would still like to see reso and cut off pots and also the ability to have sliders for ADSR etc instead of just knobs. It is definitely getting there and there is nothing out there like it. Keep up the good work. the best way to get something like Reso & Cut-off mplemented is to buy the software then you can communicate with the Creator Xiang Cao. for adsr sliders you can create them easily with Knobman and use them inside a custom knob. i can not get any sliders to work in maize that is created in knobman ... any tips what i might be doing wrong thanks. First the size of the exported slider Knob has to Be Perfectly Square like 72 x 72 then center your slider in it. export as stitched image with vertical orientation. email me i will send you an Example that i got to work in maize sampler. Please support the product by Buying it. it is the only product like this on the market ! now that Sonic Birth is Dead! -Fixed LFO Control with the modulation Wheel on Both Windows And Mac exported Plugins. I found a few bug from version 2.40 and submitted my results back in December, they have not been fixed yet. I provided detailed information as well as videos hoping that it would be fixed. I have purchased this product and do support the product in hopes issues like this could be fixed. When creating a drum machine with Maize the ADSR does not fully function correctly when placing each sound in their own group. The Decay and Sustain do not work at all even with all the testing I have done. The other issue is once we created a simple drum loop and converted that MIDI to audio the audio was off by a bar or two. I have had a few beta testers report an issue when playing back, beta testers indicate notes are off but the MIDI notes are in the correct location. An example is if a kick played in bar 1 the kick triggers at bar 2 or 3. If I am doing something wrong please advise how to correct the issue. Hi Again About that Drum Machine you are trying to Create. were you talking of making loops inside maize sampler and after trig them with a keyboard note. or simply a drum Sample Player because everything works on my side you can try my Drum kits you will see. Hi Mukik Man. Love your drum modules!! Are they created in Maize? If so, how did you create the sliders? I've found that when I export the VST using the demo for Audio Unit, it doesn't work in Mac OS X Sierra? Is this something to do with Sierra needing updating or is Maize not compatible with Sierra? Hi placemat sorry for the delay was Busy on another project. to understand what is the problem. you say Maize APP not compatible with sierra or you say maize created VST plugin's not compatible with sierra. i did create all my plugins mostly with the maize app v2.4.1 in Windows 7 and in OS X 10.6.8.
i tested All my created plugins in OS X Sierra "Audio Unit with Logic Pro X" and "VST with Cubase Elements * and everything was fine. Do you know if maize sampler exports are compatible with Logic Pro X? I've been reading that Pro X uses .vst files. Apologies for the delay also. 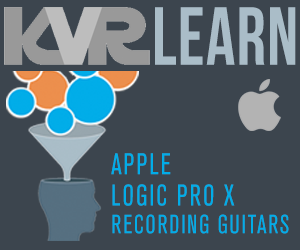 I have quite a few customers who are having much trouble in installing Audio Unit instruments in Logic Pro X under Sierra. I've had a nice guy (customer) in New York who found a work around for it my deactivating the security whilst installing it. I'm not a Mac user, so it's difficult for me to explain. I wish that it was just as effortless for Logic users to install as it is for Cubase users like me!;-). Also, it would be great to have a 'Glide/Portamento' in polyphonic mode. OK, I've now managed to create a knob in knobman and successfully import it into Maize. I have a slight issue though. All of the knobs are one click off centre to the left when I export the VST and test it out. I have 31 frames to get the centre click, but for some reason, I can't see why they are not centralised. Is anyone else having serious issues with the Audio Unit exports, especially with Logic X? I'm getting so many people saying just how difficult it is to get the VSTs working in Logic. You have to go into recovery mode and turn off the system protections which you shouldn't have to do. I wish Xiang could fix this. If any other users are having similar problems please let me know. I already finished my percussion instrument and now I want to create the professional installation for WIN is .exe and MAC .dmg. How do I do it? Thanks. The ADSR Works Perfectly Now! inside this updated manual you will find explanation how to use the "ADSR" and the new Fearures. Midi CC Controls still need to be added for "Modulation" and "Glide Time (Portamento)"
Check My Website for Plugins Created with Maize Sampler! Well done! I look forward to adding the ADSR again. Thanks Music Man and Xiang. Hi Everybody Maize Sampler Version 2.5.5 Works on Mac OS X 10.6.8 and Export to 32/64-bit on Mac and Pc is Working Perfectly. a new updated .pkg Version will Be Uploaded Soon Meanwhile you can Extract The App From the .pkg With Pacifist. or you can install it on 10.7 or Higher and then copy the app and paste it back into 10.6.8.